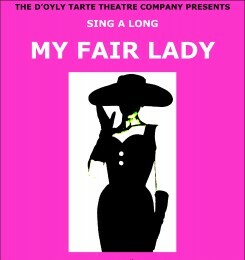 Thompson Smith and Puxon is pleased to be sponsoring a sing-along performance of My Fair Lady, produced by The D’Oyly Tarte Theatre Company. The performance will be held over two nights at Crowe Hall in Stutton on Thursday 29th June and Saturday 1st July, and is in support of a number of local charities: Ipswich Night Shelter, Green Light Trust, Suffolk Refugee and Suffolk Cruse. Tickets are £25 for Thursday evening and £35 for Saturday, the Gala night. For more information or to book tickets please contact Annabel Baker by email at cam.cam@echointernet.net. Ipswich Night Shelter – The Ipswich Night Shelter provides an overnight shelter during the Winter and is hosted in town centre churches to provide a warm and safe place for the homeless. The Greenlight Trust – An environmental charity that delivers woodland and conservation management through health and wellbeing programmes. Suffolk Refugee – Providing advice, advocacy and practical support to asylum seekers and refugees in Suffolk. Suffolk Cruse Bereavement Care – A charity which provides information and support following a bereavement.